SPJ has very few edicts – mandatory rules that national board members like myself must abide by. One of them is hosting an annual journalism conference within my region. 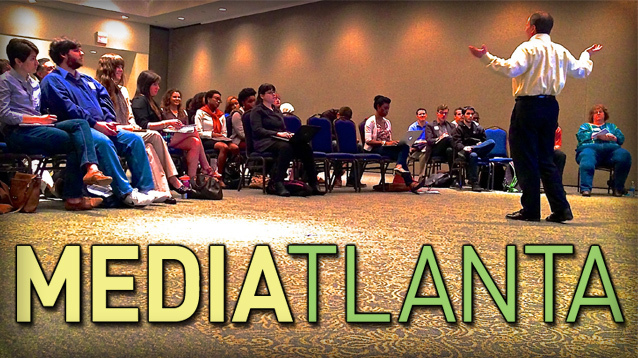 Ever obedient, I organized last weekend’s MediAtlanta and recruited staffers from The Red and Black to tell the tale. Picking four lies colleges tell student journalists was tricky for Frank LoMonte, the executive director of the Student Press Law Center. But he was able to narrow it down to just four. Lie 1: You’re defaming the school! “Well, the fact of the matter is, it’s really freaking hard to defame a college,” LoMonte said. While the Supreme Court has ruled that it’s possible to libel someone even in an opinion piece, what most colleges call defamation isn’t. “Libel is a false statement of fact that is made with some degree of negligence or recklessness,” LoMonte said. Colleges may claim that journalists are libeling or about to libel them, but usually it’s just an intimidation tactic. This concept stems from the idea that student journalists are there to make the school look good. Instead, students should look at their relationship to their college as a consumer relationship. FERPA – the Family Educational Rights and Privacy Act – was intended to protect students from snooping of other government agencies. But reports of employee misconduct, court documents and teachers’ emails in their “in” box are not protected by FERPA. “Just because it has a student’s name on it doesn’t mean it’s protected by FERPA,” LoMonte said. Records must be directly related to the student and be maintained by the school in order to be protected by FERPA. For example, “Police records – records created for law enforcement purposes – are never ever ever ever FERPA records,” LoMonte said. “FERPA’s uglier cousin is HIPAA,” LoMonte said. HIPAA is the federal healthcare privacy law. Taking pictures and writing about injured people and accidents are not HIPAA violations, although some officials might tell you it is. Once you take pictures, they’re your property. No one can seize them. “The reality is that’s stealing,” LoMonte said. Former Cleveland Plain Dealer managing editor Tom O’Hara looked forward to adventure in the Middle East — and he found it. The United Arab Emirates is ranked 114th out of 179 in the Press Freedom Index and labeled “not free” by Freedom House. it’s not an obvious hotspot for journalists on the job hunt. But for O’Hara and Georgia State University profesor Matt Duffy, it was. Between 2010 and 2012, O’Hara worked as a desk editor at The National, an English-language paper praised as the best and freest in the Arab world. 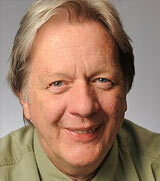 Duffy taught journalism as a professor at Zayed University. 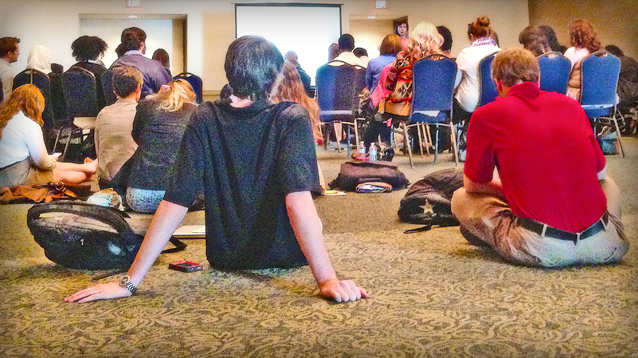 Saturday, both men spoke about their experiences at MediAtlanta. That wasn’t quite what O’Hara encountered. Working at The National meant battles not just between writers and editors, but between news staff and the constant threat of censorship. Censors were only concerned with certain topics, O’Hara said — namely, those that might reflect badly on the government or threaten its stability. In the midst of the Arab Spring, any writing that might portray the U.A.E. government negatively was deemed a potential cause of civil unrest, and thus unprintable. Fortunately for him, O’Hara was safe behind the foreign news desk, where few stories seemed to possess the potential for political catastrophe. Self-censorship was the norm at The National, O’Hara said. Paranoia kept the paper’s editors worried about offending not just Sheik Khalifa but also the Bahraini rulers, to whom he’s related. Even the president’s own words were edited for Shia references so as not to upset the paper’s Sunni Muslim readers. O’Hara said the top editors at The National spent much of their time proofing copy rather than performing the administrative duties often expected of the highest-ranking members of the newsroom. In the U.A.E., libel was a criminal offense, Duffy said. Arab publications even used initials in crime reports instead of names to protect suspects’ pride — truth wasn’t necessarily a viable defense when a reporter was brought to court for defamation of character. 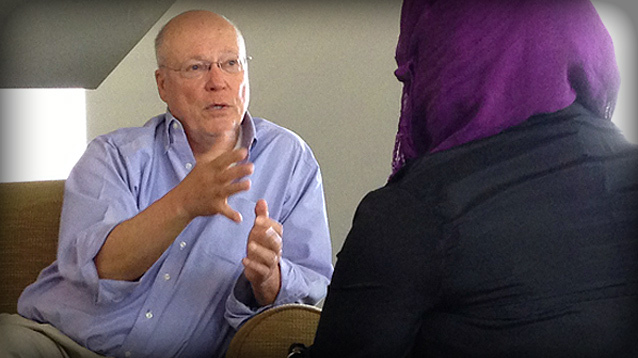 Arab readers could circumvent censorship by getting their news from the Internet, Duffy said. Still, he said he was surprised by how little his colleagues knew about current events in their own country. “I was surprised by how few people were paying attention,” he said. Duffy described the U.A.E. as a lovely place to live, with many people prospering from oil money and therefore content with life as they knew it — and often unconcerned with the news. He said Arab culture and Islamic tradition created a welcoming atmosphere for him. O’Hara also said he felt welcome, and that he rarely encountered anti-American or xenophobic sentiments from sources and others. “You kept hearing this: ‘I love Americans. I don’t like America,’” he said. O’Hara said Arabs’ dislike for America had more to do with its support for Israel than for its culture. He added that not knowing Arabic is no deterrent to reporting in a country whose population consists mostly of expatriates. Neither is gender, he said, although he advised female reporters to enter the Middle East with a tough skin. “Arab men are not subtle,” he said. O’Hara and Duffy agreed that their experiences, though challenging, were invaluable. O’Hara recommended that reporters work abroad early in their careers so they can apply the lessons they learn there to the careers they build in the United States. Both men also expressed hope for the future of free speech in the Middle East. Social media isn’t going away, Duffy said, and neither is the freedom of expression it provides. In the rapidly evolving world of media, careers can be found where you least expect them. Nobody I know grew up with dreams of being a “social media editor” — how could they? Five years ago, it didn’t even exist as a profession. While some doomsayers may preach that the advent of technology will herald the extinction of journalism, Michael Koretzky, the leader of MediAtlanta’s “Weird Careers in the Media” session, begs to differ. He offered several pieces of advice to help aspiring journalists get the ball rolling. Don’t get an internship when you can get a part-time freelance gig. While internships are practically guaranteed to involve their fair share of coffee runs, copy-making and fun-filled trips to restock the printer, freelance gigs guarantee the one thing an internship can’t: actual experience. And in addition to grabbing you a few real-world bylines, most freelance jobs are also paid and can bring you into contact with some great names for the reference section of your resume. Dailies are still hiring writers, photographers, and designers…so long as they’re all the same person. In our technology-saturated world, everything is about multimedia, and staff writers are no longer expected solely to be able to write. Proficiency in HTML, Photoshop, Flash and InDesign can skyrocket your chances of landing an interview and ultimately a career. Newspapers will run like magazines. Magazines will run like radio stations. Now that anyone with a GoDaddy account can run their own quote-unquote news service, publications’ best bet for survival lies in finding their niche readership. Koretzky ran through several examples of magazines devoted to everything from lawn croquet to yachting crews. While it may not be your dream job, when it comes hiring time, the randomness of your resume may just be what lands you an interview. Writers also don’t need to specifically share their publication’s interest.In two different cases, writers for a gay magazine and a Native American magazine weren’t even gay or Native American. Journalists will have at least one job in their career they never expected. And here comes the “weird” part: Your best bet at a career in journalism might not be in publications at all. 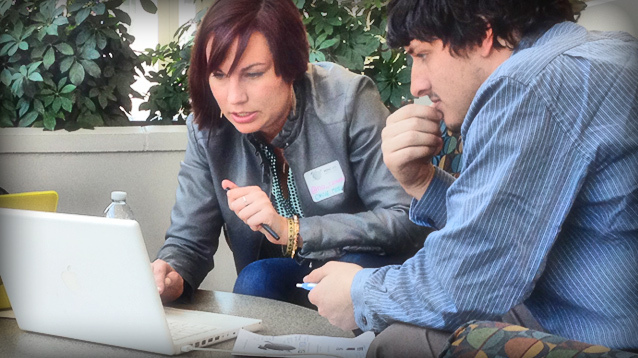 Many businesses are now hiring writers to blog about their products, events and services. Advocacy groups have also begun to hire their own freelance investigative journalists to pursue causes that might not be at the top of a mainstream news service’s priority list. Some companies want journalists instead of public relations specialists. In the same vein of unexpected career opportunities, many companies and businesses are overlooking the typical public relations grads to run their PR in favor of journalists, who know how to spice up a would-be boring post and are no strangers to thinking on their feet. Ultimately, while first jobs can be daunting in the fast-paced world of journalism, the key to success isn’t always sticking to your guns. Sometimes you have to get creative – and maybe a little weird – to find the right first step towards the career of your dreams. The 10th-best college newspaper in the country? The adviser illegally threatened to withhold students’ paychecks. A board member wrote a memo demanding more “good” news than “bad.” The editors walked out in protest. 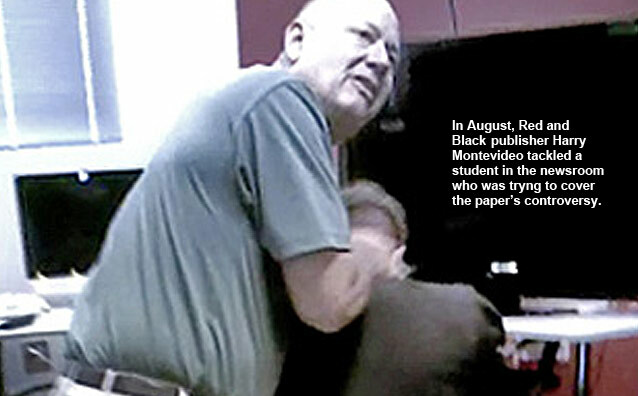 And the publisher tackled a j-school reporter covering the controversy. Congratulations to The Red and Black. You’ve made the Princeton Review’s 2012 list of best college newspapers. The Princeton Review is a test-prep company best known for its annual book, The Best Colleges. From that, the company releases periodic lists of top professors, beautiful campuses, and biggest party schools. So how does a student newspaper like this edge into a Top 10 list? This morning, I called Kristen O’Toole, listed as a contact on Princeton Review press releases. When I asked her how the college newspaper list was compiled, she paused. Then she laughed. She’s obviously been asked this before. If she reads this, it might be never. So it’s quite possible no one knew what The Red and Black did last summer. And it’s quite likely no one knows what’s happening at The Red and Black right now. In his Aug. 22 letter to the paper’s chairman of the board, SPJ president John Ensslin concluded, “Please be advised that SPJ will continue to monitor this situation closely.” Yesterday’s dubious Princeton Review list has reminded me to do the same. I’ve heard some disturbing reports about professional staff still interfering with student editors. If true, they violate the ethics code of the College Media Association, which represents advisers (and of which I’m a member). 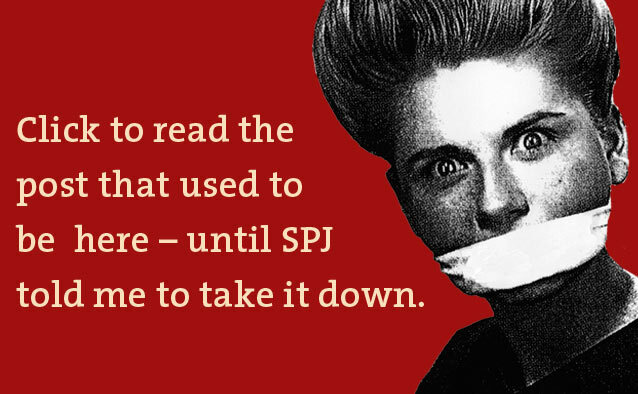 After the holidays, I’ll follow up on those reports, and I’ll urge SPJ’s new president to do the same. I hope this time, The Red and Black board and management will comment beyond a couple terse official statements. I congratulate Red and Black students who win awards for their reporting, writing, photography, and design. But a “best” newspaper should be judged on everything it has done during that particular year. Some SPJers and CMAers believe I’ve already made up my mind about The Red and Black. They’re right. I have. Based on what I learned last summer – from receiving a copy of that damning “good news” memo to corroborating tales of censorship from multiple student editors – I felt the evidence was clear. However, if The Red and Black has delivered on its promises – like installing students on its board, opening its meetings at least to its own staff, and no longer interfering with students in the newsroom – I’ll be the first to add it to my own list of best college newspapers. The opinions above are not necessarily those of SPJ national, SPJ’s other board members, or the SPJ members in Region 3 who I represent. This is my blog and my opinion. My cell phone rang at 9:07 on this sunny South Florida Saturday morning. I ignored it. This should be fun, I thought. It always is. Earlier this week, the editors at the University of Georgia’s independent student newspaper walked off the job, claiming prior review and even censorship. I’m on the SPJ national board, and under our bureaucratic structure, I represent the “region” where The Red and Black is – the southeastern United States. So yesterday, I dispatched Katherine Tippins to Athens. The former student media coordinator at Macon State College spent the day interviewing, recording, and attending meetings. I posted her results – and my conclusions – on this blog last night. “That’s how we do things in SPJ,” he said. I reminded Ensslin that he didn’t pay for Tippins’ trip. So let me get this straight: If I never reply to your emails, then I’m allowed to post what I want on my regional blog about crap that happens in my region? But because we exchanged emails, I can’t do that? I asked if he had the ability to take it down himself. His tone, while still very nice, was stern enough to imply he’d exercise that power. So I said I’d comply – and post it on my own blog. I wonder if he still thinks so. Click here to read the post that used to be here. The top editors of The Red and Black, the independent student newspaper at the University of Georgia, walked off their jobs this week. They say new rules wrest editorial control from them and give it to professional staff. While the story has been covered everywhere from The New York Times to Fox News, the only journalists on the scene are those involved in the dispute. So as SPJ’s national representative for the region, I’m sending someone to investigate. 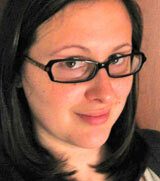 Katherine Tippins is a new SPJ member and a former student media coordinator at Macon State College. She graduated from the University of Georgia in 2007 with a bachelor’s degree in comparative literature – and she worked at The Red and Black as an editorial assistant, writer, and copy editor. 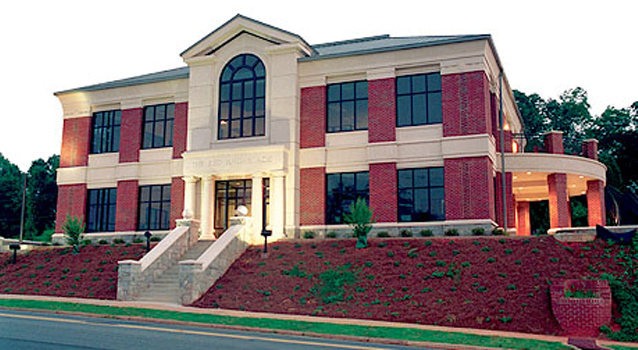 Tippins will take a break from pursuing her Ph.D in communication at Georgia State University and drive to Athens this morning, where she’ll try to speak with the students, the staff, and the board. She’ll also approach University of Georgia journalism faculty. While the paper has been independent of the school since 1980, I’ve asked Tippins to get their perspective. If they’ll offer one. Whether anyone talks to Tippins is another matter. But given the heat of the controversy, it’s worth trying to shed some light on it. I’ll update this blog as soon as I get updates from Katherine Tippins. You are currently browsing the archives for the Red and Black category.